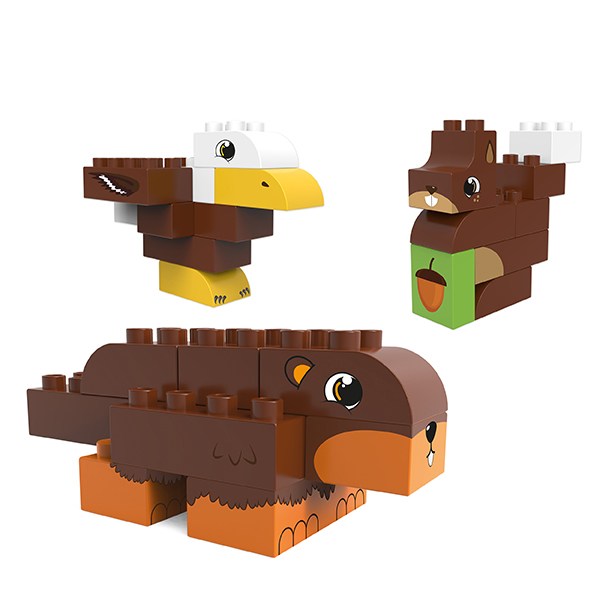 3 in 1 – Build the Beaver, Eagle or Squirrel. Beavers are great swimmers, they can stay underwater for up to 15 minutes. Beavers are well-known for their large gnawing teeth. With these teeth, they gnaw down trees. These fallen trees form their nest on water, it is called a dam. 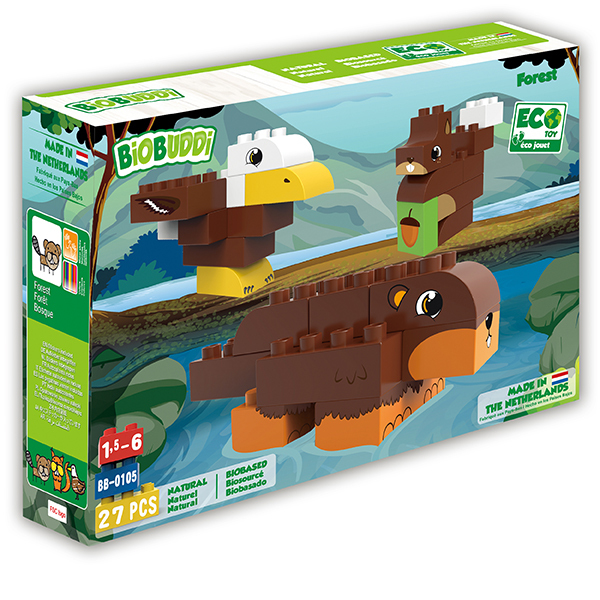 The eagle also uses trees for their nest, unlike beavers the nest on top of the tallest trees. Eagles prefer trees near open waters because they like to eat fish. food is hard to find. During the winter the sleep a lot, this is called hibernation.